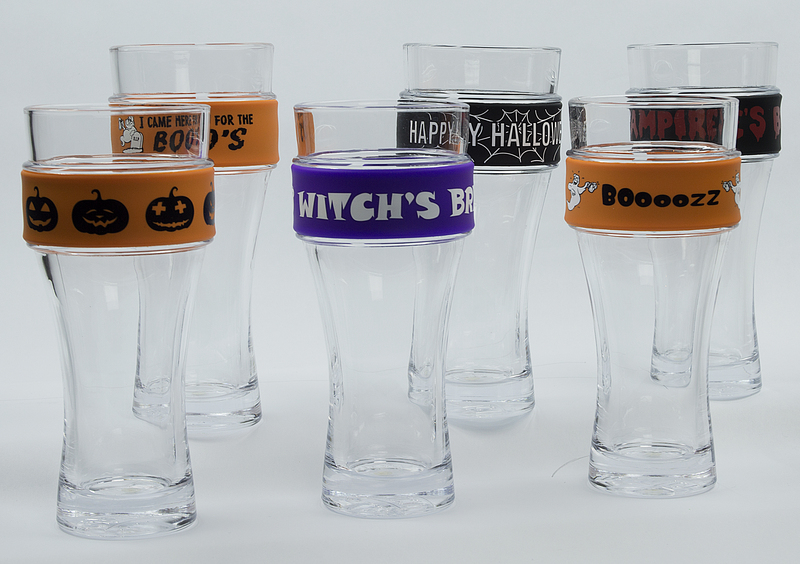 I just got these really fun Halloween slapband glasses from Iconic Concepts. This is a really interesting design that I have never seen before. You get two glasses (made of glass). Each one has a little groove that you can attach a slapband bracelet around. They have several different slapband designs perfect for Halloween. We got one with pumpkins, one that says Happy Halloween, and one that says I’m here for the boo’s. They are super cute. Plus you can just wear the bracelets as slap bands. They are great glasses, super cute for a Halloween event of party! The bracelets are really durable and well made, should last a long time. Very fun!